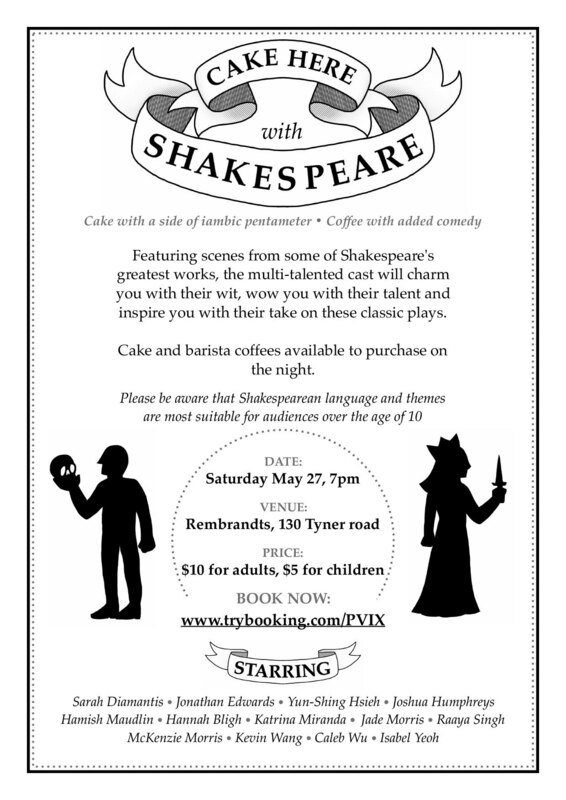 The Senior Drama League is proud to present ‘Cake Here With Shakespeare’ – an evening of dessert, coffee and magnificent Shakespearean performances! Commencing at 7pm on Saturday May 27th. This is an event not to be missed! Come witness our talented students performing scenes from Romeo and Juliet, Macbeth, A Midsummer Nights’ Dream and more!